Crowned as the capital city of Karnataka, Bangalore is a wonderful destination for spending memorable holidays. It has so much so tourist hotspots to gift to its travelers that it becomes hard to decide that which place to visit first and which second. However, not to worry as we are here to solve your travel trouble. With our Bangalore Tour Package, we take you to all the tourist charms of the city one by one.Be it the Lal Bagh Botanical Garden or the local market, we cover every place. That’s not the end of the story; we also take you to various nearby attractions like Kodaikanal, Ooty and Coorg, where you explore a traveler’s paradise via sightseeing tour. So what are you waiting for, avail our Bangalore Holiday Package and enjoy a memorable and relaxing journey. After breakfast full day city tour of Bangalore, visit Lalbagh Botanical Gardens, VidhanaSoudha, Cubbon Park, ISKCON Temple, and if time permits evening proceed for shopping (handicraft and silk items). Later return to the hotel for dinner and overnight stay. After breakfast drive to Kodaikanal. Check into a hotel on reaching Kodaikanal. Rest of the day is free for your leisure. Overnight stay at hotel. After breakfast proceed for sightseeing tour of Kodaikanal, visit KurinjiAndavar,Bryant's park, Pillar Rock, Coaker'sPark, Green Valley view point, Telescope house, Silent Valley, Star shaped KodaikanalLake & Chittiar Park. Later in the evening transfer to the hotel forovernight stay. After breakfast drive to Ooty. 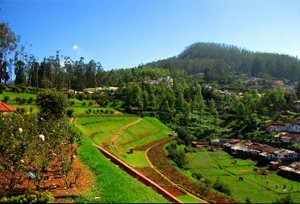 Ooty is in deep within the Nilgiri hills, whichis also known as The Blue Mountains. On arrival at Ooty, check into a hotel and for the rest of the day you are free for leisure. Followed by an overnight stay at hotel. After breakfast proceed for sightseeing of Ooty. Visit The Botanical Gardens, one of the best tourist attractions, which allures visitors from all over the world. This garden was laid out in 1847 by the Marquis of Tweedale and is spread over 22 hectares ascending the slopes on the hill at an elevation of 2,400 meters above sea level. Later visit Doddabetta (highest point of the place), Ooty Lake and Rose Garden. After breakfast drive to Coorg. On arrival a Coorg, check-in at a hotel. Rest of the day you are free for leisure or your own activity. Overnight stay at the hotel. After breakfast full day city tour of Coorg, visit Dubare Elephant Camp, a forest camp on the banks of the River Kaveri where bathing and feeding of the elephants are done. Dubare elephant camp in Coorg is the perfect destination to enjoy Elephant rides and bird watching. In afternoon visitto Talacauveri, which issituated in the picturesque location of Brahmagiri hills. It is the origin of River Kaveri and a beautiful Talacauvery Temple built around it. 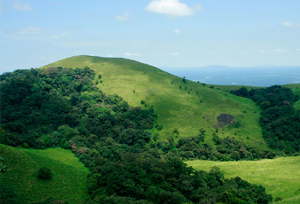 Later,climb Brahmagiri peak and then pay a visit to Bhagamandala. Bhagamandala is famous for the confluence of the three sacred rivers, Kaveri, Sujyothi and Kanike. 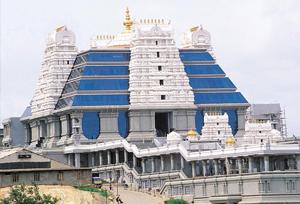 You can also visit to the temple dedicated to Bhagandeshwara (Lord Shiva) and get the blessings. Return to the hotel by evening for overnight stay. After breakfast drive to Bangalore. On arrival at Bangalore transfer to Airport/Railway station for your onward destination.